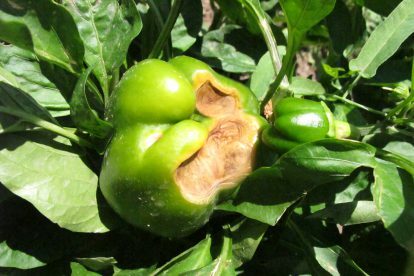 If you have seen sunburn damage on your peppers, tomatoes, and eggplant this year, perhaps it is time to consider management options for this year’s harvest and next year’s crop. 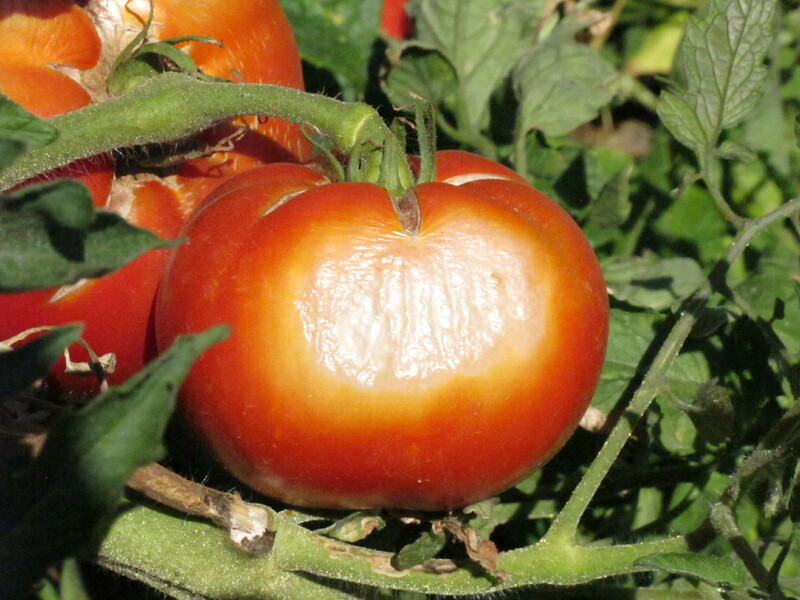 Sunburn damage can also occur in other vegetable crops including melon, squash, cucumber, bean, pea, and sweet corn. 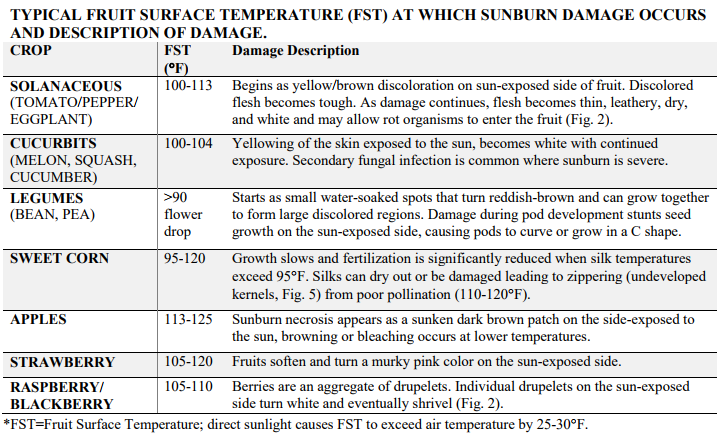 See the table below from the USU Fact Sheet on Using Shade for Fruit and Vegetable Production. 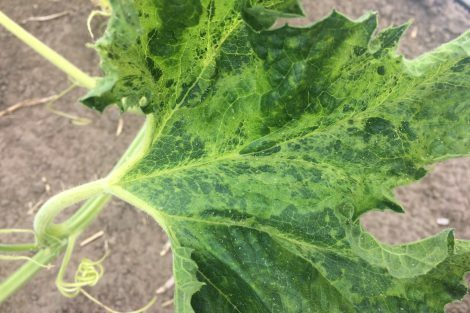 Powdery mildew and squash bugs aren’t the only squash issues we have seen this season. 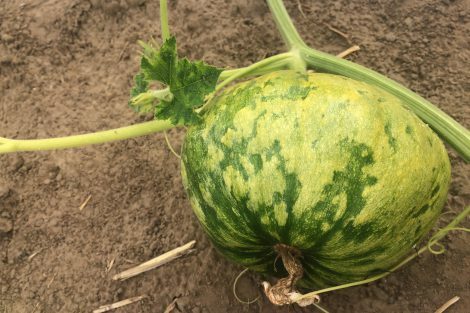 Watermelon mosaic virus, Alternaria leaf blight, and verticillium wilt have also been observed. 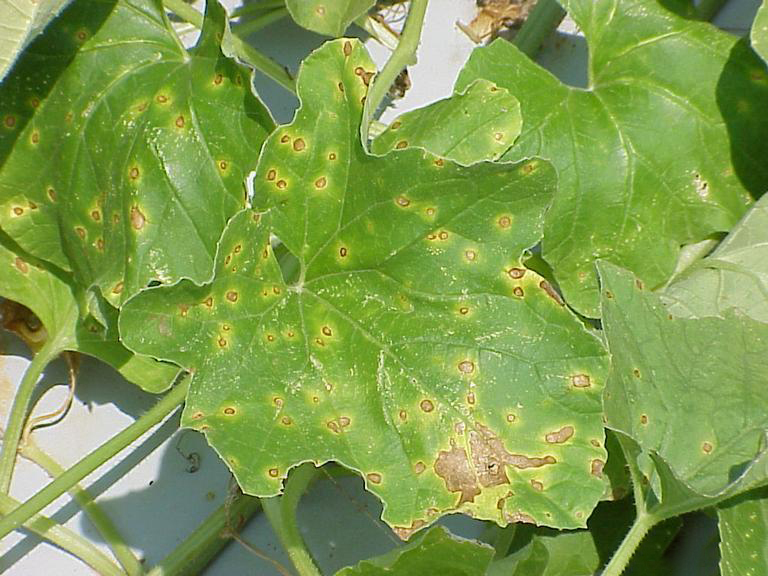 WMV is a potyvirus that affects summer and winter squash, zucchini, gourds, and pumpkins. 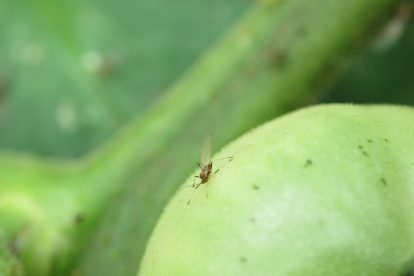 The virus is spread by aphids which acquire the virus from infected weeds or alfalfa. WMV overwinters in infected perennial weeds or alfalfa. 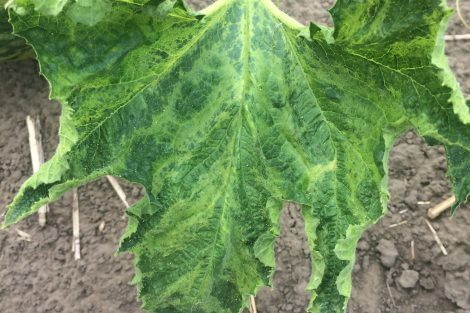 Symptoms usually begin to show in June. 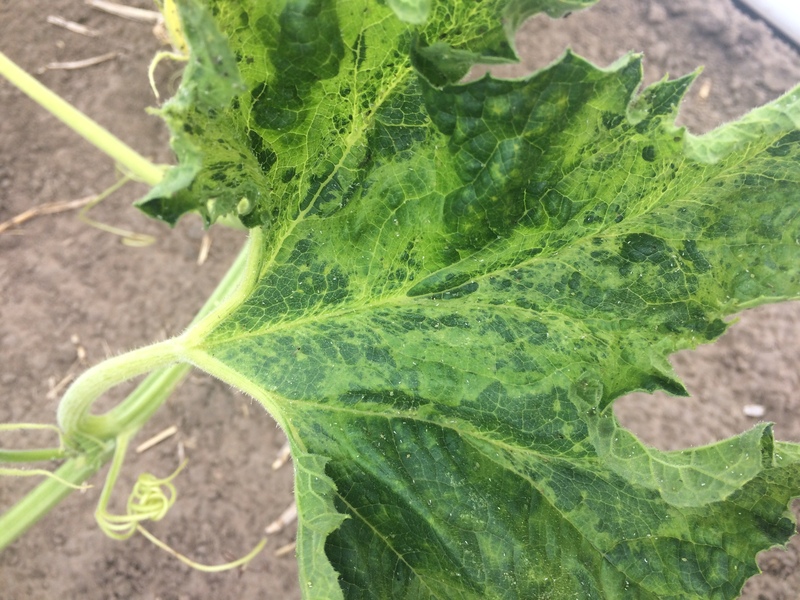 First symptoms are often seen on field edges and aphids continue to move the virus across the cucurbit field. 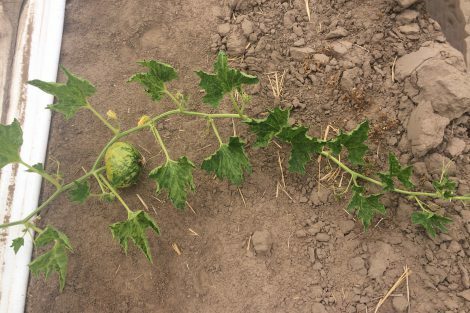 and keeping cucurbit fields away from alfalfa fields when possible. 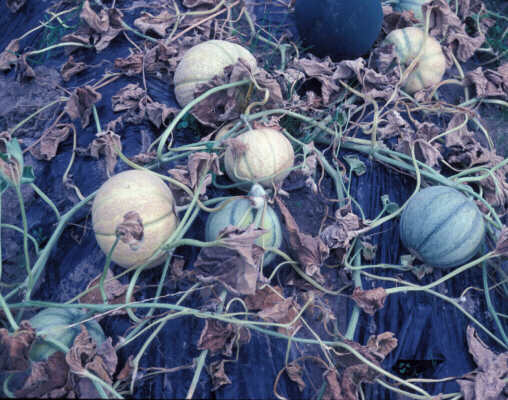 There are resistant summer squash and zucchini varieties, but there are no resistant winter squash or pumpkin varieties. 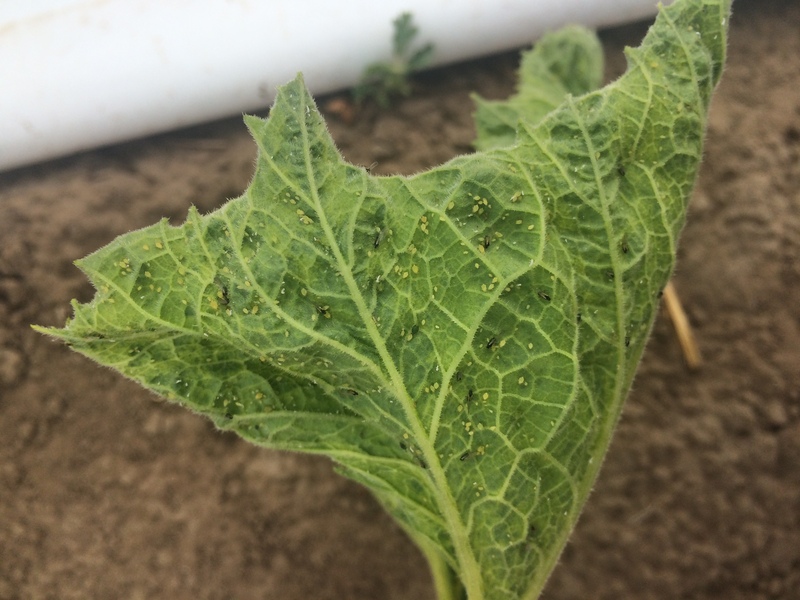 Insecticides for aphids are of limited value to control the disease. 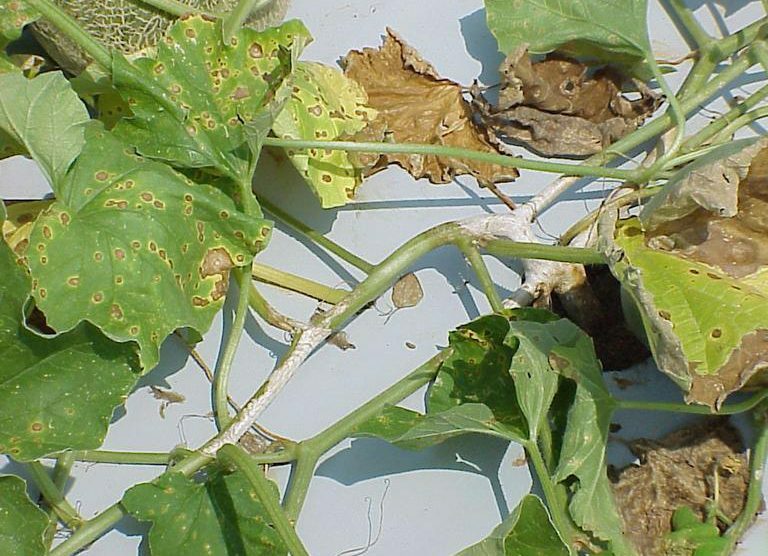 Alternaria leaf blight is caused by the fungus Alernaria cucumerina and is most problematic on melon but can also occur on cucumber, pumpkin, and squash. This fungus is spread long distance on wind currents and in the field by splashing water. It overwinters primarily in infected plant debris. Rotate vegetables so at least 3 years go by before planting any member of the squash family in the same location. Use drip irrigation instead of overhead sprinklers if possible. Do not work in plants when wet. Deep plow crop residue at the end of the season in large fields. 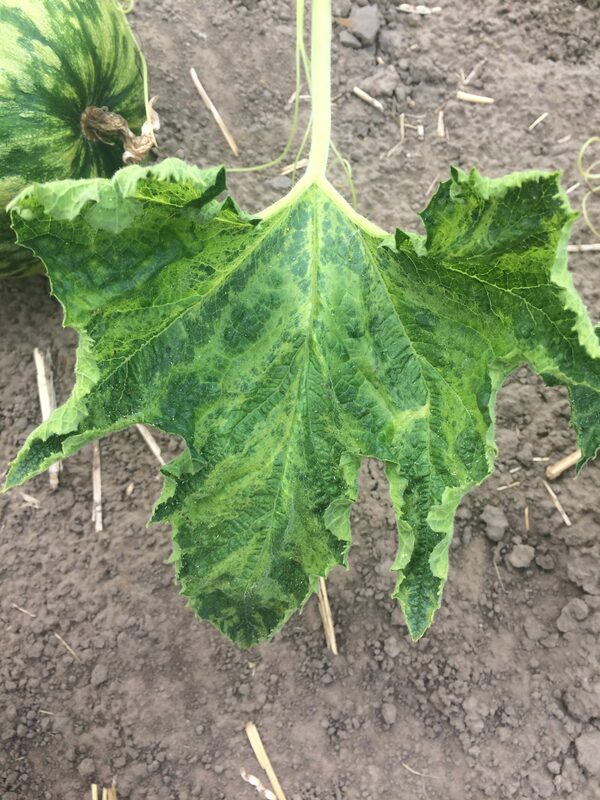 Preventative fungicide sprays are effective but are only necessary in fields with a history of Alternaria Leaf Blight. 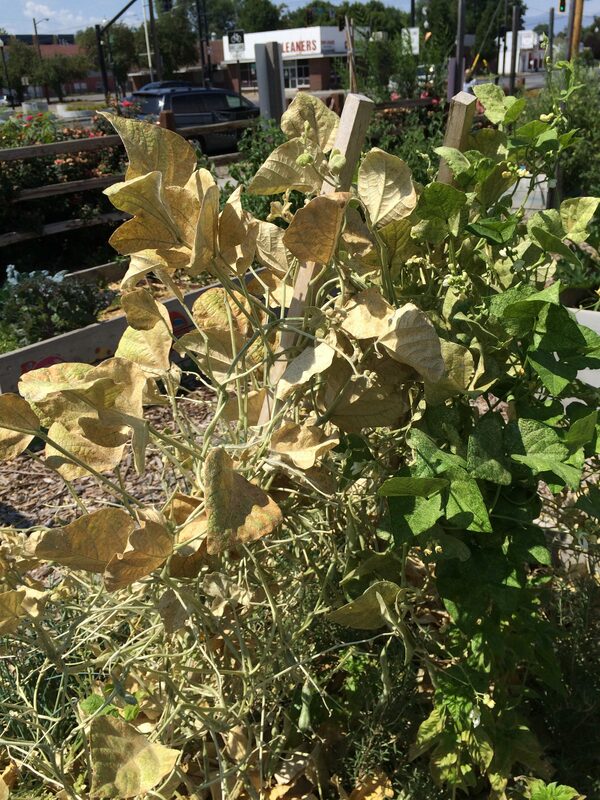 Verticillium wilt is caused by the fungus Verticillium dahliae which affects several vegetable hosts including tomato, eggplant, pepper, okra, potato, artichoke, cucurbits (melons, squash, cucumber, etc. ), spinach, and lettuce. V. dahliae is a soilborne fungus that infects host crop roots and invades their water-conducting tissues. It can survive in the soil for many years. 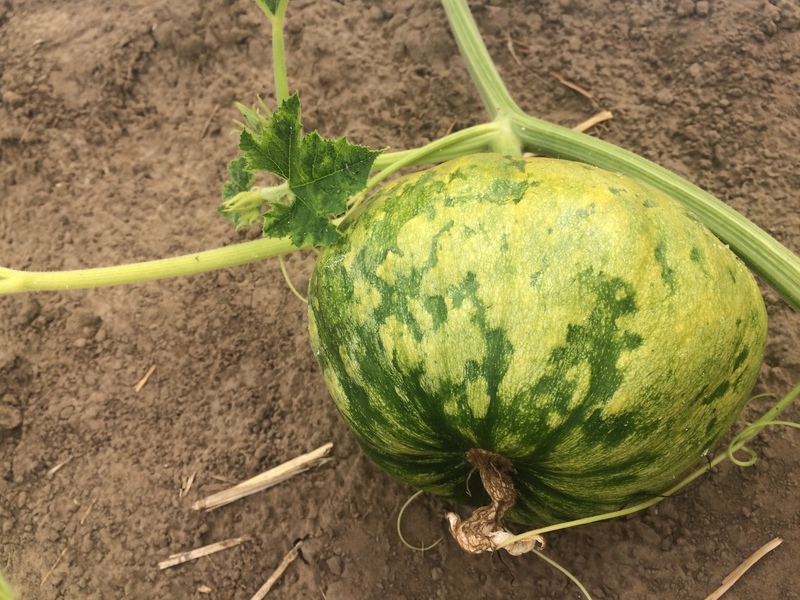 This season, it has been found in squash, watermelon, eggplant, and okra. 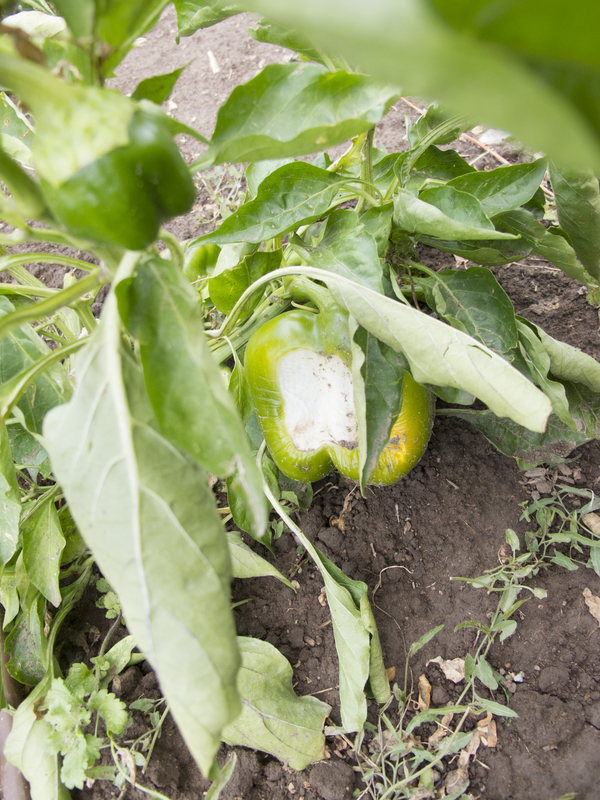 Prevention is important as the fungus is very difficult to eradicate once it has been introduced into a field and can survive in soils without a host. Once the fungus is present, management practices should focus on reducing the amount of initial inoculum since curative measures do not exist. Delay planting until temperatures are warm. 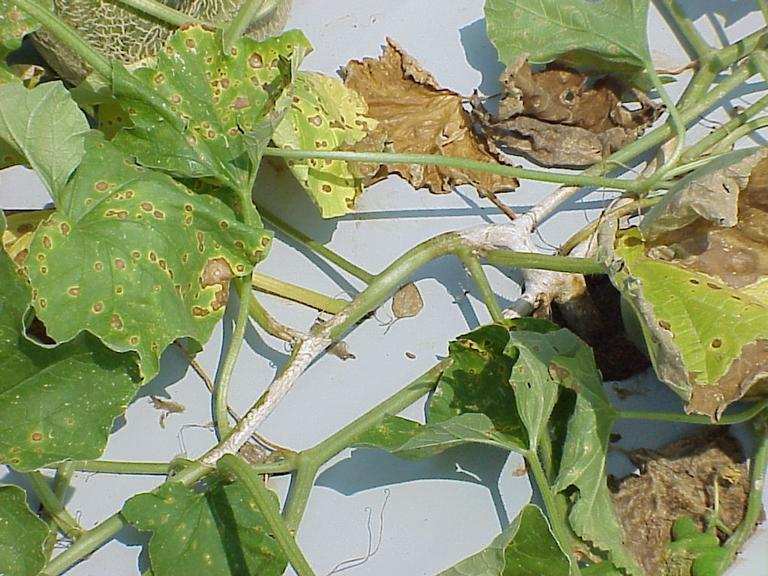 Avoid planting in fields known to have a Verticillium wilt problem. 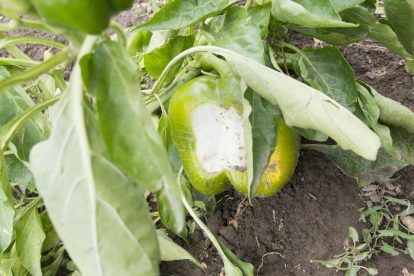 Avoid planting in former potato, tomato, or mint fields. 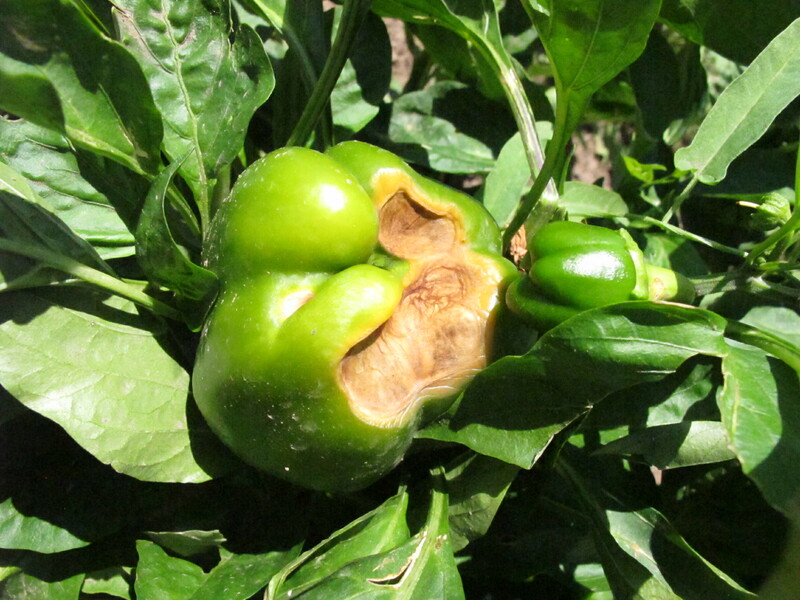 Remove diseased plants and post-harvest debris to reduce fungal buildup. Maintain adequate, but not excessive, moisture and nitrogen levels in the soil. 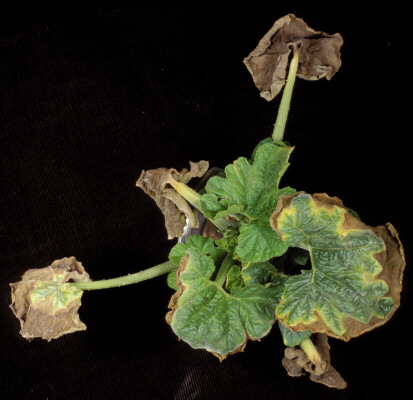 Resistant or partially resistant cultivars of some susceptible plant species are available. 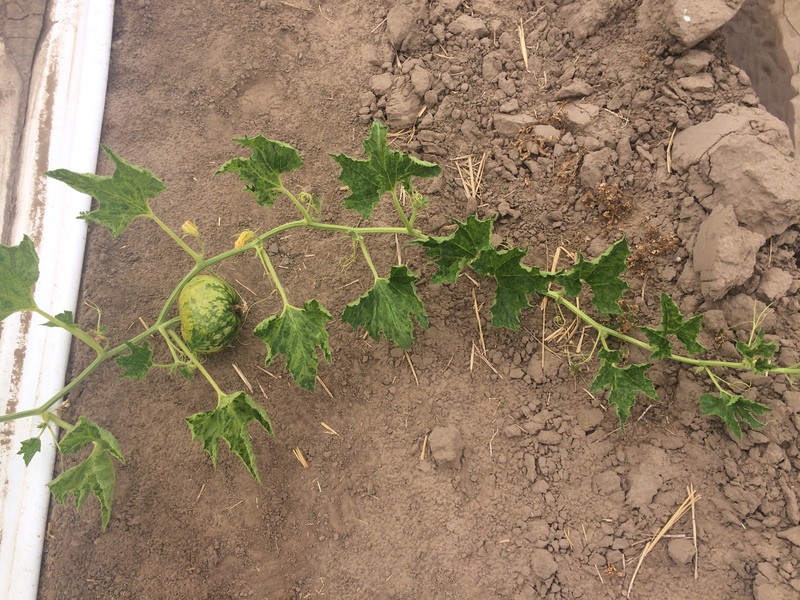 Soil fumigation with metam sodium can reduce the impact of Verticillium Wilt. 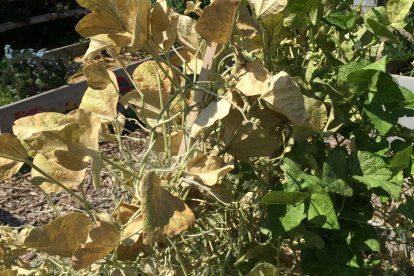 The hot, dry, and dusty conditions of this season have caused localized outbreaks of spider mites in various vegetable crops. 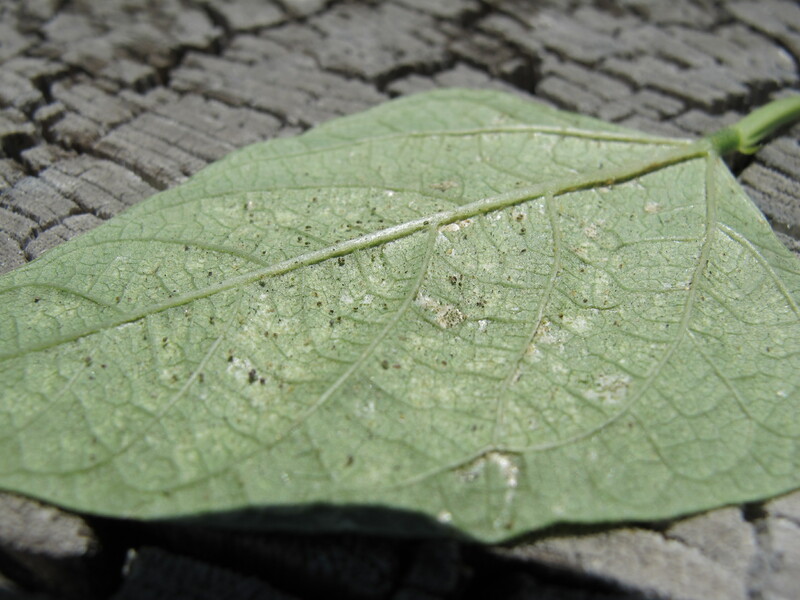 Spider mite outbreaks can also occur after insecticide sprays have been applied that kill their natural predators. 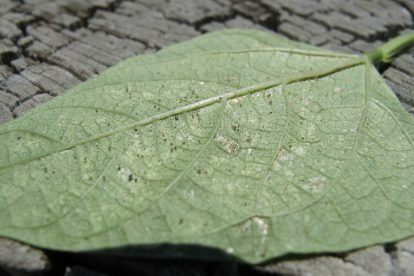 Without a hand lens or microscope, spider mites look like tiny moving specks of dirt or light colored spots. 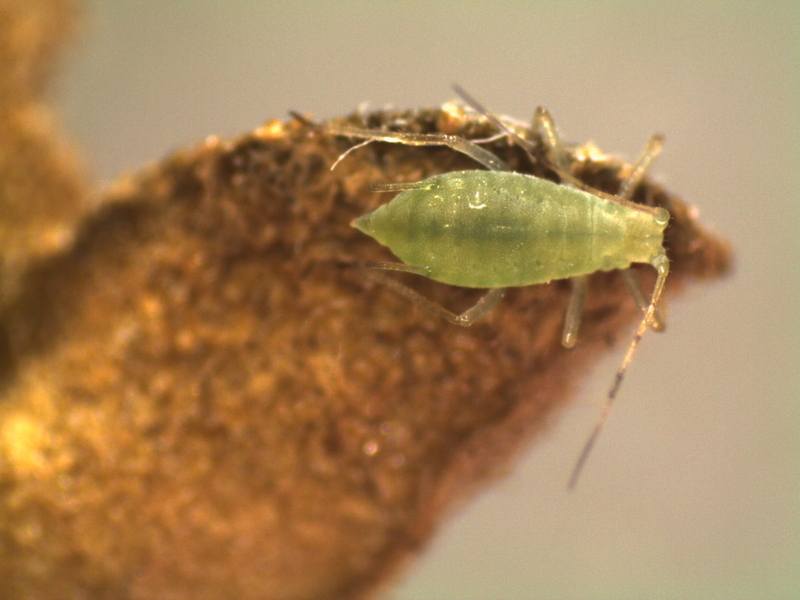 They cause damage to host plants by sucking cell contents from leaves. 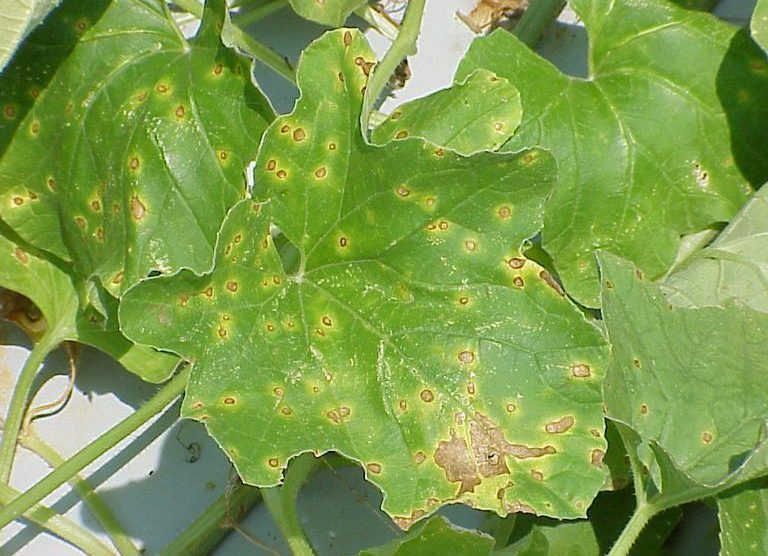 A small number of mites isn’t reason for concern, but very high populations can damage plants. 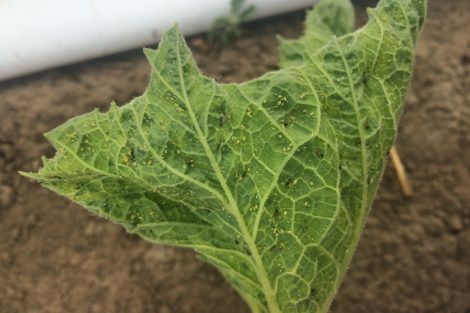 Spider mite hosts include bean, pea, tomato, cucurbits (cucumber, squash, melons) beet, carrot, corn, eggplant, parsley, pea, pepper, and sweet potato. Keep plants healthy and unstressed especially by drought. 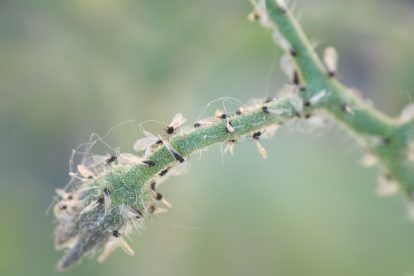 Avoid using malathion, pyrethroid, and broad-spectrum insecticides and miticides for other pests. 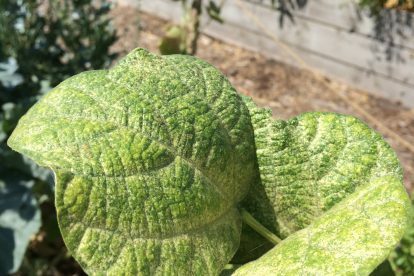 Use a strong stream of water from a hose-end nozzle, directed to the undersides of leaves and lower portions of plants, to physically wash mites off of infested plants. Use a slow-release nitrogen fertilizer when possible as high nitrogen levels in foliage encourage spider mite reproduction. 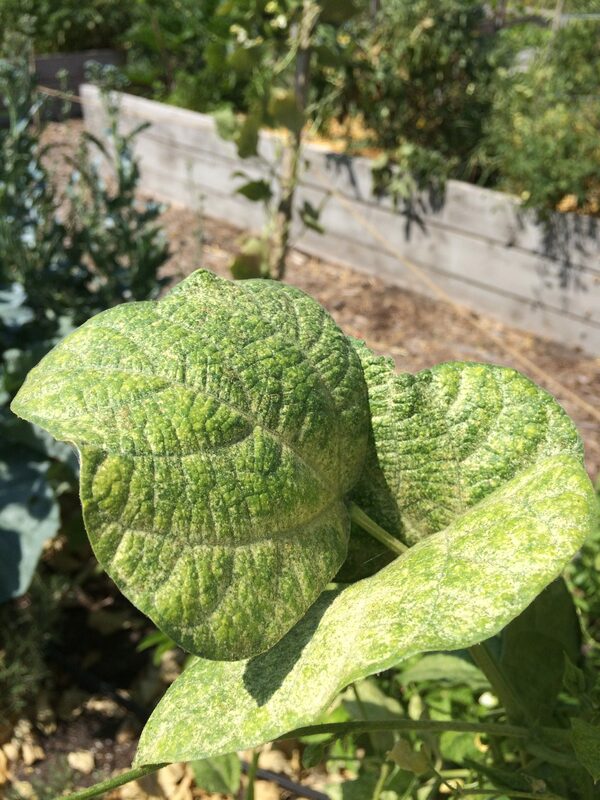 For more information see Pests in Gardens and Landscapes: Spider Mites. Sap beetles have been observed infesting corn this season. They are typically secondary pests of corn but can act as primary pests if populations are high. 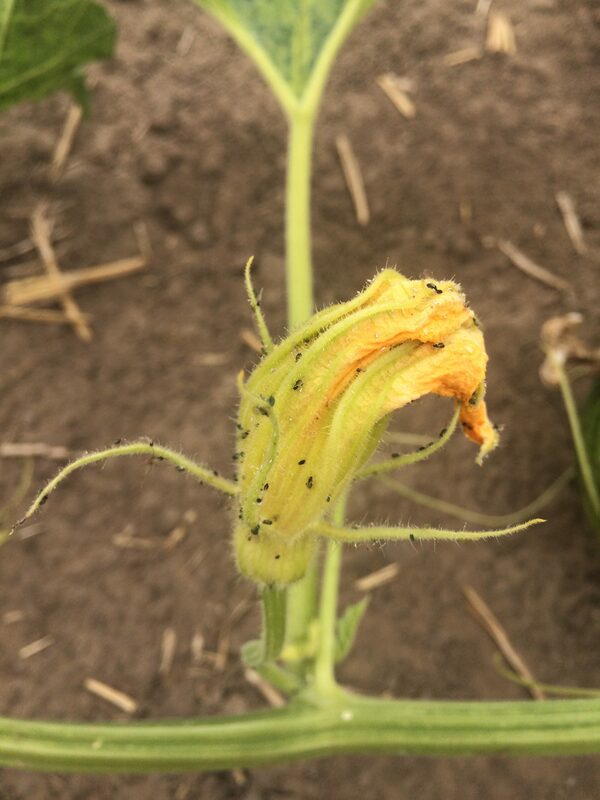 Damage from other pests, such as the corn earworm, can provide entry sites for sap beetles. 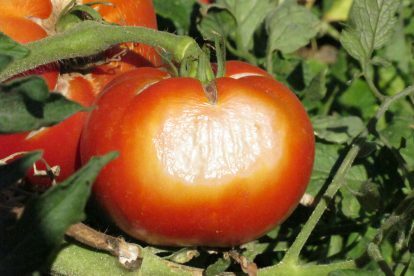 Sap beetles may also infest tomatoes, raspberries, strawberries, and muskmelons, especially if these fruits are wounded or overripe. In corn, adult sap beetles feed on corn silk, pollen, and tassels. 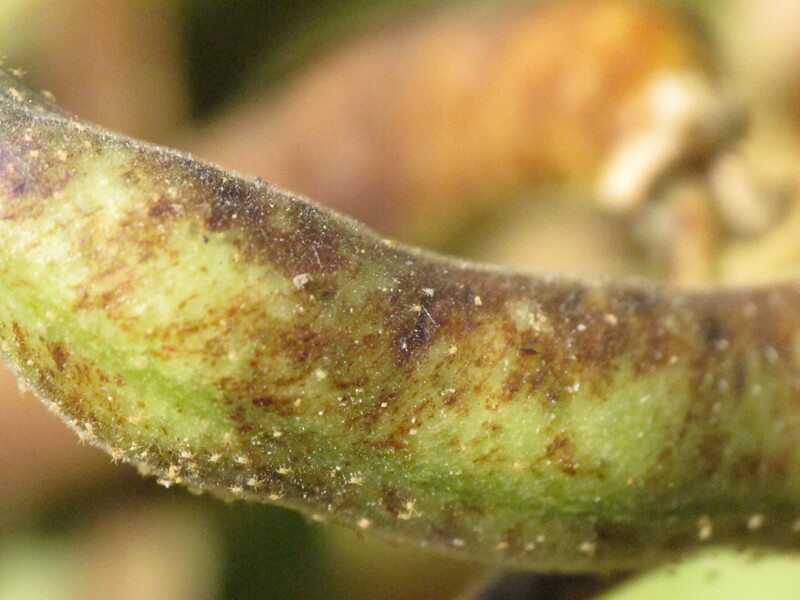 The larvae attack and feed on intact kernels and may hollow out kernels of the upper half of the ear. Super sweet corn varieties are particularly susceptible to sap beetle damage because of the poor tip coverage by corn husks and the higher concentration of sugar in the developing kernels. Prevent damage from other primary pests such as corn earworm and European earwig. Harvest sweet corn as soon as it is ripe. Remove damaged, diseases, or overripe corn. Keep surrounding areas clear of plant debris since sap beetle populations will increase in compost or cull piles adjacent to corn fields. 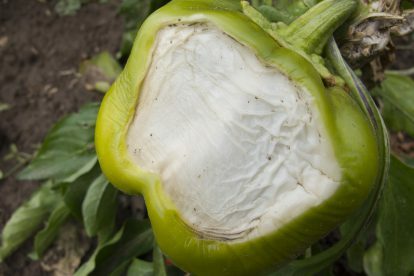 Locate fields away from favored breeding sites such as vegetable and fruit dumps. 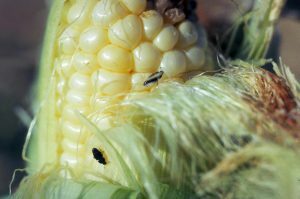 Sweet corn that matures after surrounding fiddle corn has cropped pollen tend to have lower sap beetle infestation. Select resistant varieties with tight, long husks including ‘Country Gentleman’, ‘Golden security’, ‘Tender Joy’, ‘Trucker’s Favorite’, ‘Stowell’s Evergreen’, and ‘Victory Golden’. Use bait/pheromone traps to monitor and reduce adult sap beetle populations. A trap with both a food base attractant (fermenting fruit juice, bread dough, rotting fruits or vegetables) combined with a lure, containing an aggregation pheromone, will be highly attractive to sap beetles. Disk or plow corn fields immediately after harvest to reduce overwintering and breeding sites for sap beetles. 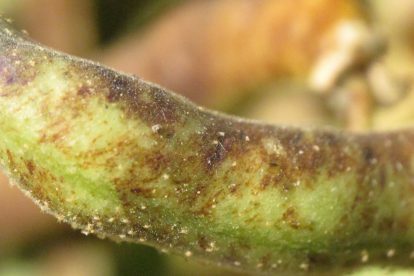 Control with insecticides is difficult because adults and larvae are protected inside the ear and damage occurs close to harvest. If an application is necessary, products with a short pre-harvest interval should be used. There are few natural predators of sap beetles. The tiny parasitic wasp, Cryptoserphus abruptus, parasitizes sap beetle larvae. 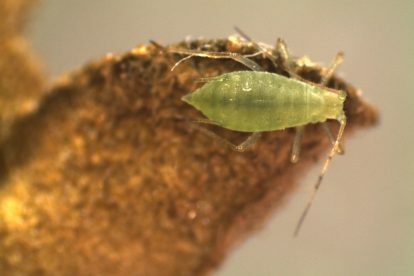 The insidious flower bug, Orius insidiosus, feeds on sap beetle eggs. Corn earworm (CEW) is a common pest of corn whose feeding damage, frass, and often larval body can be seen in infested ears of corn. 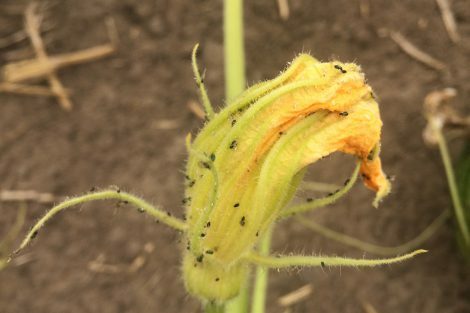 Corn earworm strongly prefers corn but has other hosts including tomato, artichoke, asparagus, cabbage, cantaloupe, collard, cowpea, cucumber, eggplant, lettuce, lima bean, melon, okra, pea, pepper, potato, pumpkin, snap bean, spinach, squash, sweet potato, and watermelon. Most corn earworm damage in Utah is seen on corn. Corn earworm overwinters in the soil (primarily in central and southern Utah). There are typically 3 generations/flights per year in northern Utah and 4 or more generations/flights per year in southern Utah. CEW moths typically lay eggs singly on fresh, green corn silks. Newly hatched larvae crawl down the corn silk and into the ear tip where they chew into developing kernels, but larvae will also chew on silks and leaves. Plant resistant corn varieties (e.g. ‘Country Gentlemen’, ‘Staygold’, ‘Golden Security’, and ‘Silvergent’). Plant early enough that corn will silk before major moth activity occurs (before 1300 Degree Days with a baseline of 50°F (DD50) or about July 20 – Aug 5). What is DD? Place clothes pins at the point where the silk enters the ear to keep worms out of ears. Till soil in the fall in places where pupae overwinter to decrease their survival. Use the net style Heliothis trap and a pheromone lure for baiting CEW monitoring traps. Place the trap by early June along the edge of the corn field; attach the trap to a stake or post so the bottom of the trap is about the same height as the corn silk. Move the trap to different areas of the field to keep it near fresh corn silk. Check twice weekly until first catch, then check daily for best results. Calculate the average number of moths per night, and follow threshold guidelines provided on the next page for deciding when to take treatment action. 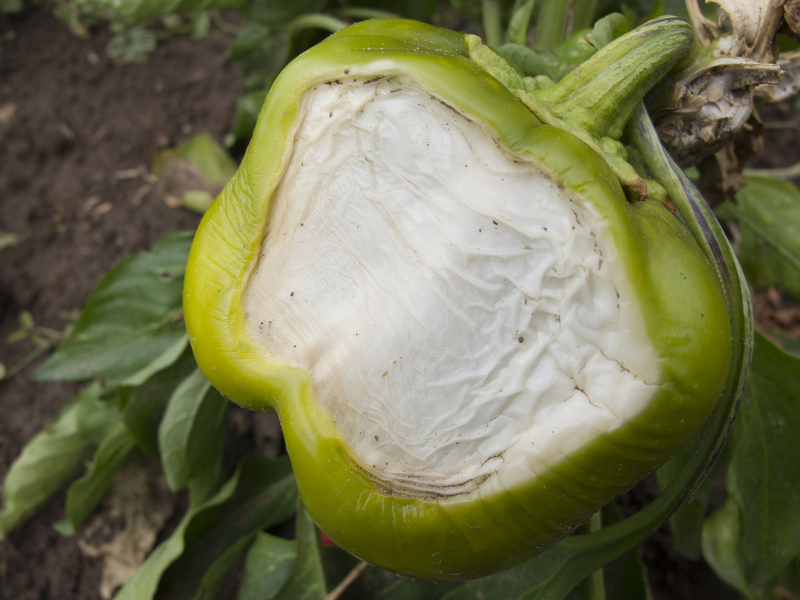 See the Utah Vegetable Guide: Corn Earworm for more information on chemical control. See the Utah Vegetable Guide Corn Spray Tables for more information on commercial and homeowner insecticide options for corn earworm management. 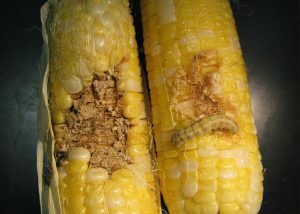 For more information on corn earworm see SARE Corn Earworm. 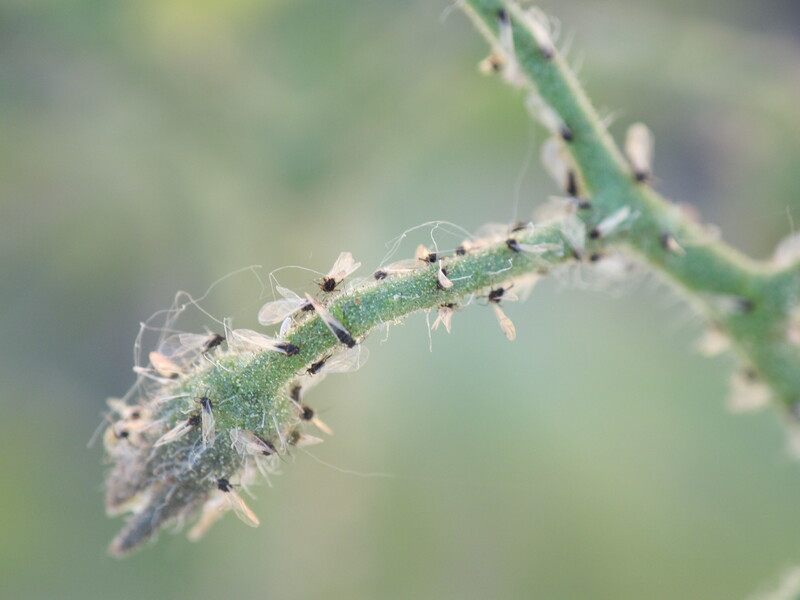 To learn more about degree days read Using Degree Days to Time Treatments for Insect Pests. 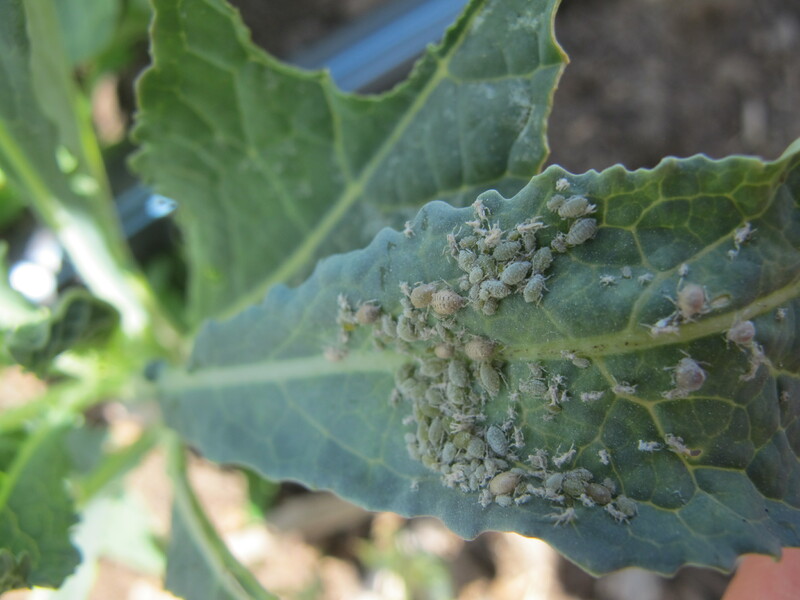 Our new Aphid Pests on Vegetables fact sheet contains information on the most common aphid species found in Utah vegetables. 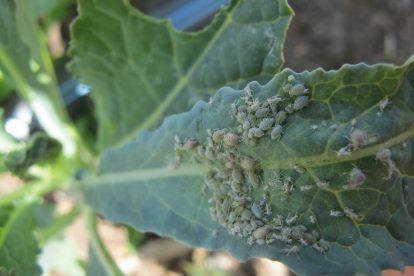 These include green peach aphid (Myzus persicae), potato aphid (Macrosiphum euphorbiae), melon (or cotton) aphid (Aphis gossypii), and cabbage aphid (Brevicoryne brassicae). Master Gardeners have long been a front line of defense in identifying and reporting invasive garden pests. This training will hone your skills on invasive insect identification along with research-based control measures. Our top-notch instructors include scientists from USU Extension, the USDA, the Utah Department of Agriculture and Food (UDAF), and Whitney Cranshaw, Entomologist (Colorado State University) and author of Garden Insects of North America. Seats are limited so register early.